I finally got a chance to sit down and watch Costa Sunglasses new movie Geofish: Mexico, Vol. 1. There’s really only one way to describe this film that’s not hyperbole: EPIC. From start to finish it’s truly an adventure flick. These dudes have more testicular fortitude than I’ll ever have even with a daily regimen of testosterone shots. To go on what could be a potentially fatal trip is not something for the faint of heart, not after all the chaos coming out of Mexico these days. I really don’t want to give the movie away, but they catch fish. Lots of fish. Big fish, small fish, warmwater fish, saltwater fish. There’s gunshots, shady Mexican police, a robbery, more shady po-po’s, beautiful scenery, amazing waters, and it’s all mixed together to tell one hell of a story. 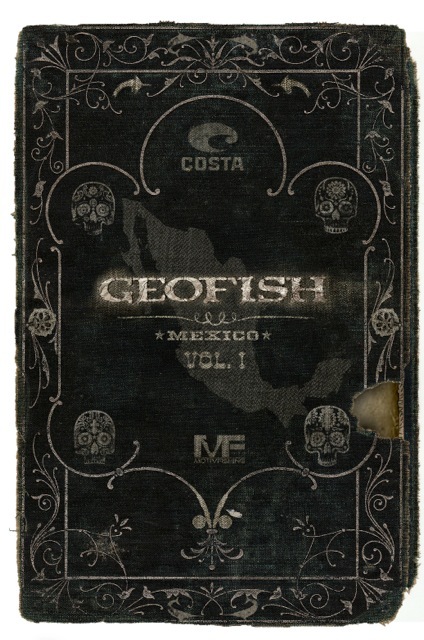 https://www.costadelmar.com/shop/accessories/geofish-mexico-vol-1-dvd To buy the dvd click here. It’s almost 2 hours long. Buy it, grab your significant other, a beer or seven, and make a night of it. Then right after it’s over and you’re itching for an adventure of your own, leave your significant other, buy a truck that runs on veggie oil, get a boat or two, some cameras, fly rods, tents, and go on an adventure of your own. Just remember to pack bear mace and a spear gun. ← The new Pile Cast stickers are here! Costa Sunglasses said, Thanks for sharing! !